Hello Guys! How was the weekend? It was the first weekend that we didn’t have a deadline to hit for the One Room Challenge and let’s just say that was amazing. Don’t get me wrong, I love the One Room Challenge (eat-in kitchen reveal), but it’s nice to go back to doing things at our snail’s pace. Ha ha. Today, I want to share a pillow that I made for the kitchen space. It’s so simple yet very chic. 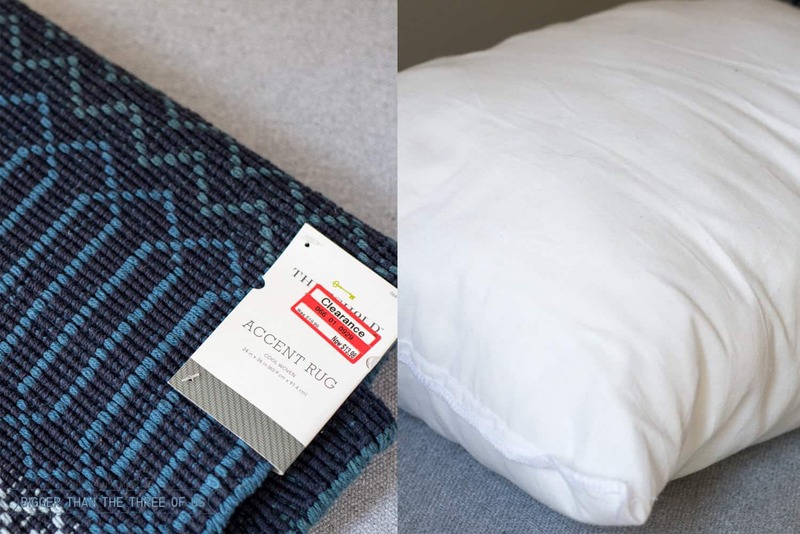 This DIY Woven Pillow (in 5 Minutes!) is made out of accent rug! Would you ever guess that was made out of a rug? *This post contains some affiliate links for your convenience. Click to read my full disclosure policy. So, the good thing about making pillows is that you can hoard fabric, rugs, etc. until you need them. Last year, I fell in love with these accent rugs at Target (similar rug). I didn’t need an accent rug, so I held out. Well, as usual, with Target, they placed them on clearance. So, the sane person buys two of them, right?! I mean, they are exactly my color and style, so I had to have two. Well, one of those rugs came in handy for the eat-in kitchen. Want to see how to make one for yourself? For five minutes of your time, you can’t beat it. 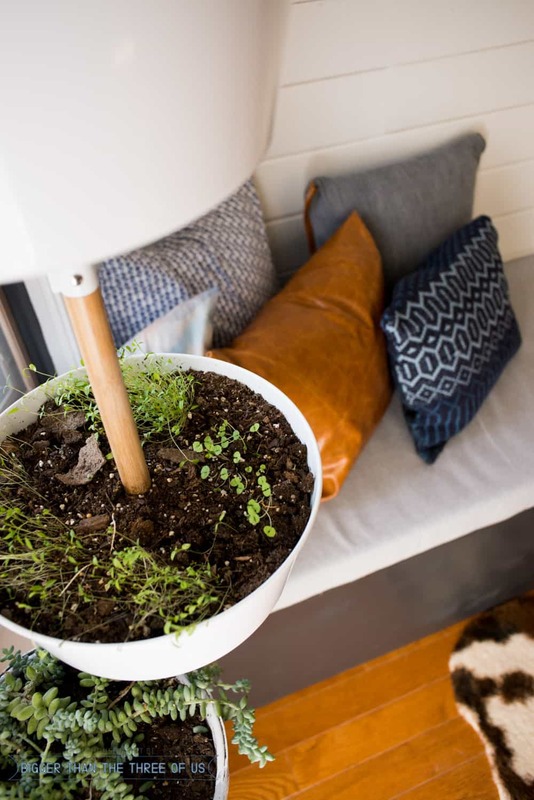 Place your pillow inside your rug (rug outside facing the pillow). 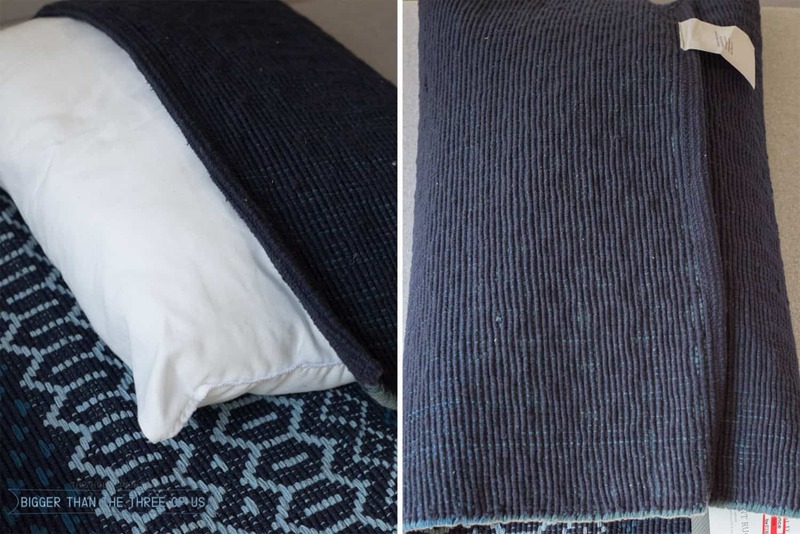 Fold one side of your rug on your pillow, coming about 3/4 of the way across the pillow. Fold the other side of your rug over the first side. My second side came about 3/4 across the pillow again. I was happy with that overlap. 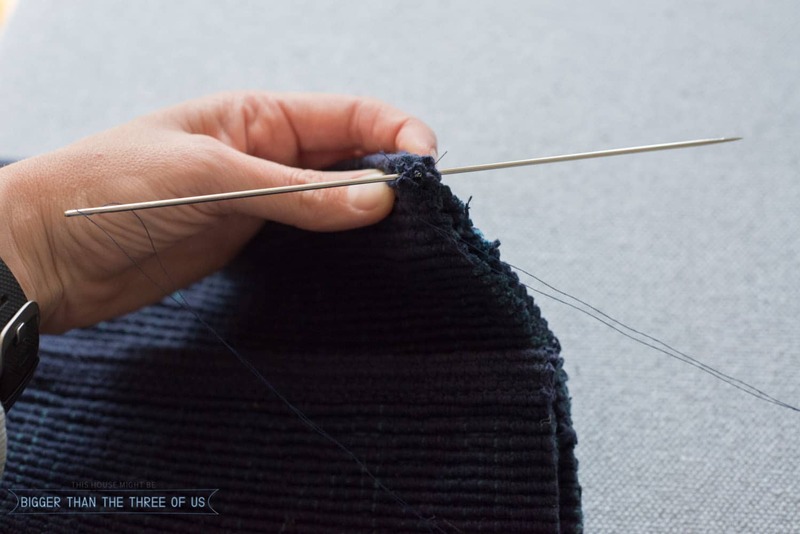 *If you have too much overlap on the second piece, then you will need to cut it off and sew the seam. 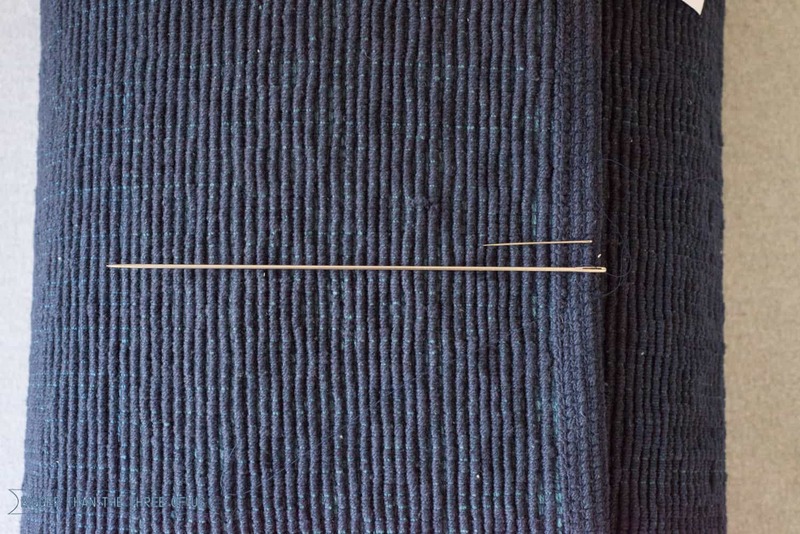 Using an upholstery needle (see how much larger it is compared to a regular needle? ), sew one side together. *Here’s a great video tutorial if you need one for this part. 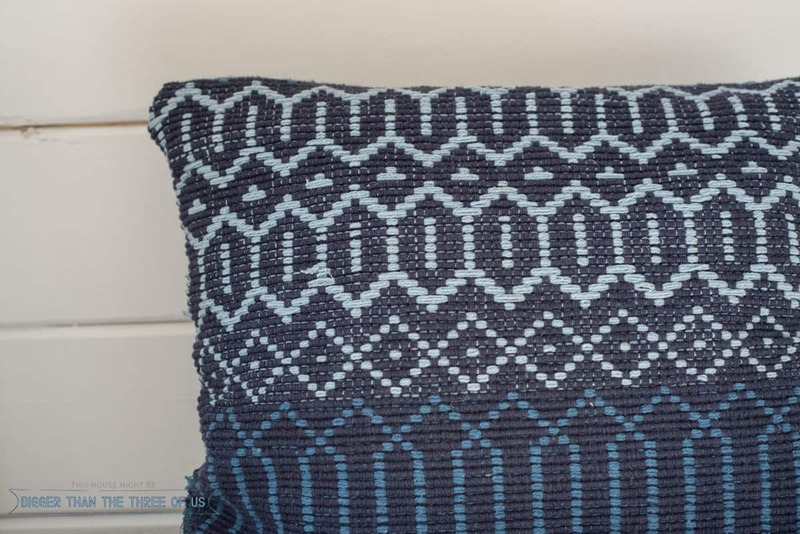 Place your pillow on top of your rug to check for sizing. Give yourself about an inch or so and cut off any extra fabric. 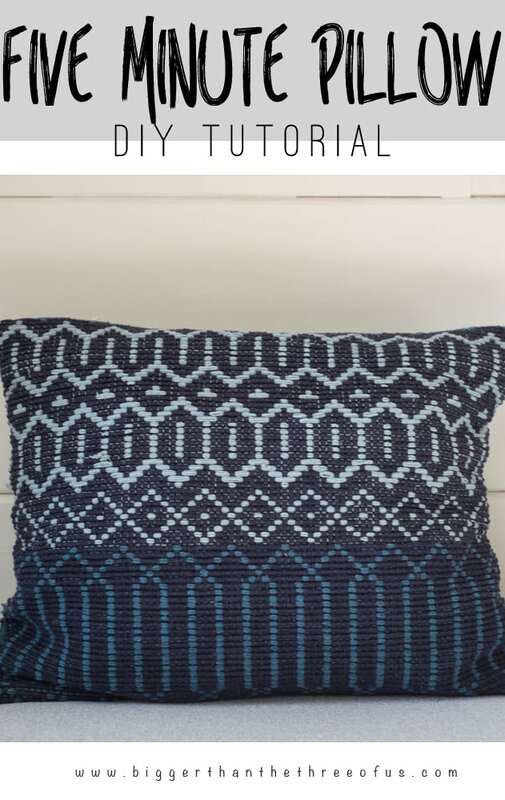 Stitch the rest of your pillow. 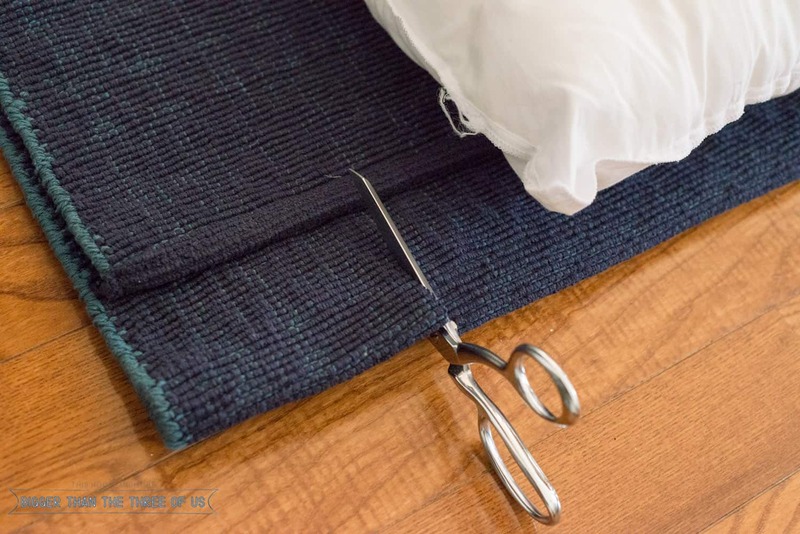 Turn the pillow inside out (you can still do this because you created an envelope pillow where you have the overlapped back) and stuff your pillow inside. Easy peasy, right? 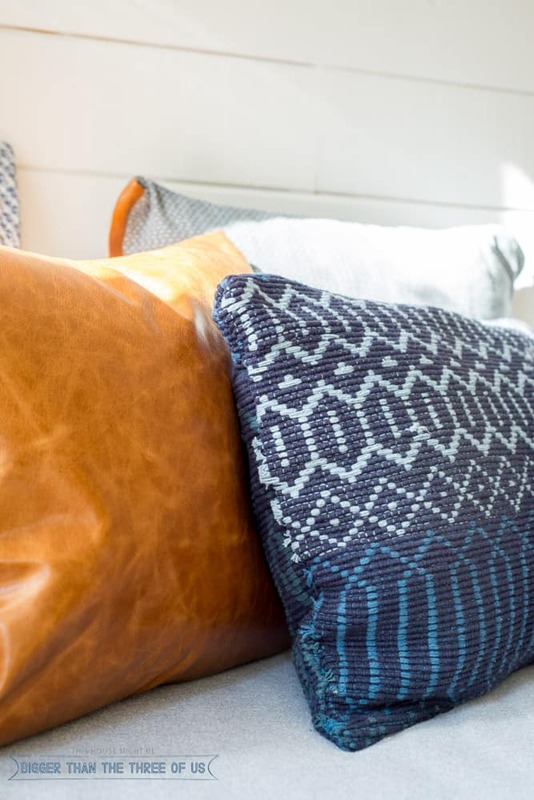 Could you see yourself hoarding rugs for pillows?